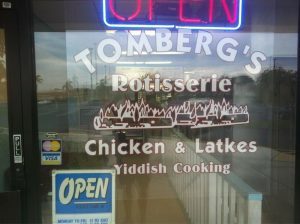 ***** Tomberg’s Rotisserie Chicken & Latkes, 14850 South Military Trail, Delray Beach, Florida 33484, (561) 496-4833. 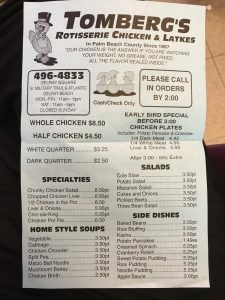 Last night while doing some housekeeping around the Jeff Eats’ site- I realized I’d never told you guys about- Tomberg’s Rotisserie Chicken & Latkes In Delray Beach! 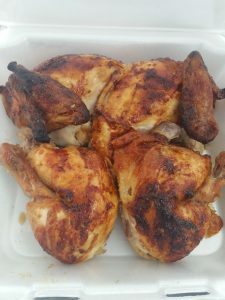 Takeout-Only joint that makes off the chart delicious- rotessire chickens and other stuff! Jeff Eats and Mrs. Jeff Eats have been customers for over 25 years! 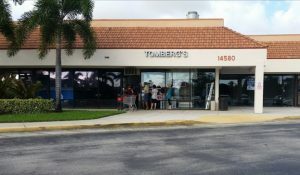 Tomberg’s- is open Monday-Saturday 11am-5pm/closed Sunday, is cash-check only, is located in the back of a gigantic bombed out-rundown Delray Beach Shopping Center that has seen better days, has a load of discount coupons listed on various internet sites and has been around for something like 51 years! Somethings are better late than never- Tomberg’s is an absolute must try! Ive been a customer for over 20 years. They make fabulous roast chickens. You got to set your GPS to find them. Located as Jeff pointed out in the back of a huge shopping center with tons of empty stores. 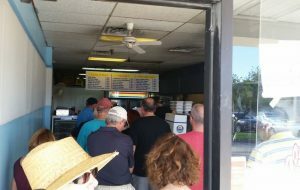 Best roast chicken in Florida. The store could use a good cleaning. My family has been taking out from there for 23 years. Half as good as Walmart at twice the price. Very ordinary chicken.